Every month, Fulbright English Teaching Assistants (ETAs) submit highlights of activities completed with their community the prior month. An ETA’s community includes his/her students, fellow teachers, neighbors, and fellow ETA in the region (sitemate). Since October is most commonly associated with Halloween, Indonesiaful published Halloween-specific highlights earlier this month. Now read about what ETAs have been up to besides making masks and carving jack o’lanterns during the month of October in this two-part series! ETA Siham Abdi attended a meeting for a Madrasah English Teacher’s Association in Purworejo. At this gathering she was able to introduce herself and meet other English teachers in the area. This was a time for teachers to learn from and gather resources from each other. Siham also had the chance to introduce herself to a 12th grade class, which was the most enjoyable part of the day for her. Afterwards, all 50 teachers in attendance visited a local man’s home to celebrate his return from Hajj. The sense of community felt in that setting was unlike anything Siham had felt before. 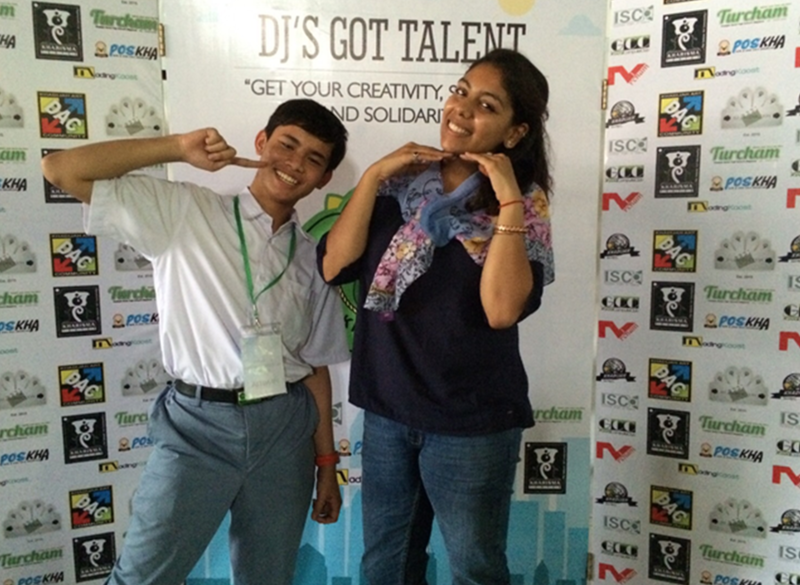 The students from SMA Khadijah in Surabaya spent countless days preparing for the school’s annual talent show, DJ’s Got Talent. ETA Krupa Patel arrived at school on October 10th and was bestowed the title of judge! The spacious prayer hall was packed with excited high school students. Each class went up one by one with matching outfits, choreographed dances, memorized songs, speeches, comedy skits and more. The students sang and danced to Chainsmokers, Snoop Dog, One Direction, KPop songs, Arabic songs, Indonesian songs, and even the infamous Pen-Pineapple song. They did the whip and nae nae, the dab, and poco poco! The creativity, humor, passion and enthusiasm displayed that day were unmatched by any talent show that Krupa has ever seen. It was truly spectacular to see the students come together and work in teams to showcase their talents. Mackenzie with an alumna (right) from her old school, SMA N 5 Palangkaraya. Haluoleo University, in Kendari, hosted the “PEKSIMINAS: Pekan Seni Mahasiswa Nasional” Festival October 12-16, 2016. It was a huge cultural festival with groups participating in artistic and cultural competitions from every province of Indonesia. ETAs Shelby Lawson, Kate Barton, and Mackenzie Findlay were invited to attend with some of their local Indonesian friends. They went to the festival several different nights to see performances and visit the student booths. 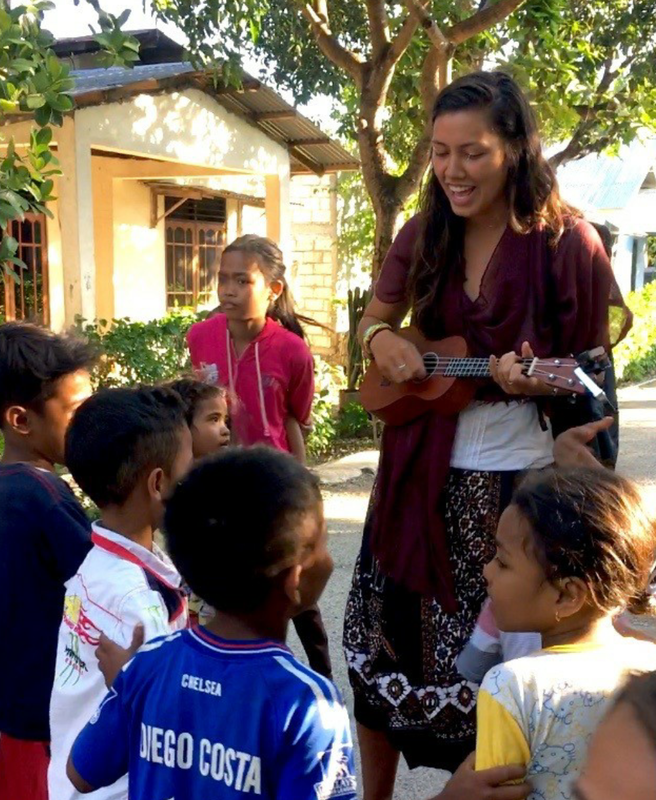 Mackenzie was especially thrilled to find a group from Palangka Raya, Central Kalimantan (her ETA site last year) and even learned that one of the performers was an alumna of her old school, SMA N 5! Such a small world it! On October 13th, the Labuan Bajo English Teachers Club held its first meeting at SMAK Loyola in Labuan Bajo, Flores. ETAs Anna Katomski and Sam Geary coordinated with members of the local Education Department as well as with English teachers from their respective schools (SMK N 1 Labuan Bajo and SMK Stella Maris) in order to facilitate the establishment of the club. Teachers will meet monthly to discuss successes and challenges in the classroom, receive professional development training, and improve their English proficiency. At the first meeting, teachers representing 5 different high schools gathered together. They collaborated, discussed topics from recent teacher workshops, brainstormed goals for the club, and reflected upon English teaching in the region. Hopefully even more teachers will attend the second meeting in mid-November! 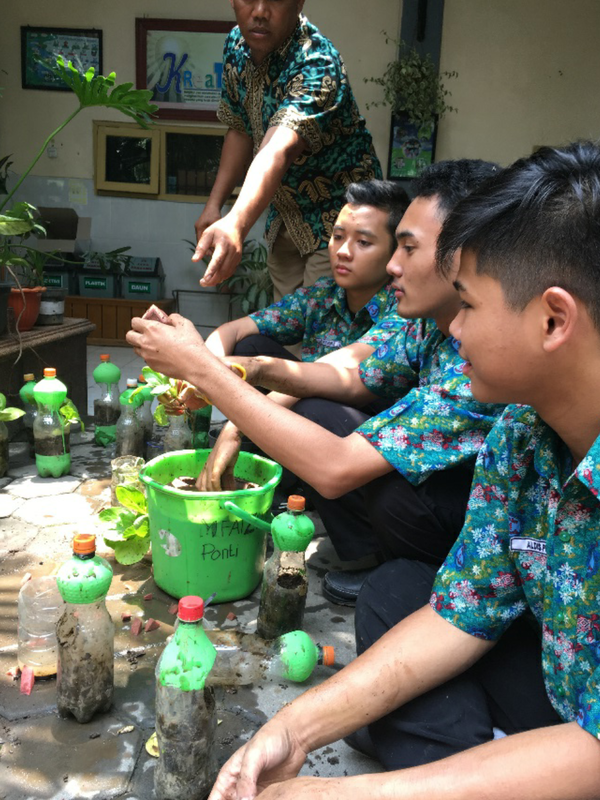 This October, students at SMK N 4 prepared for a visit from Adiwiyata, a national environmental education program and competition. 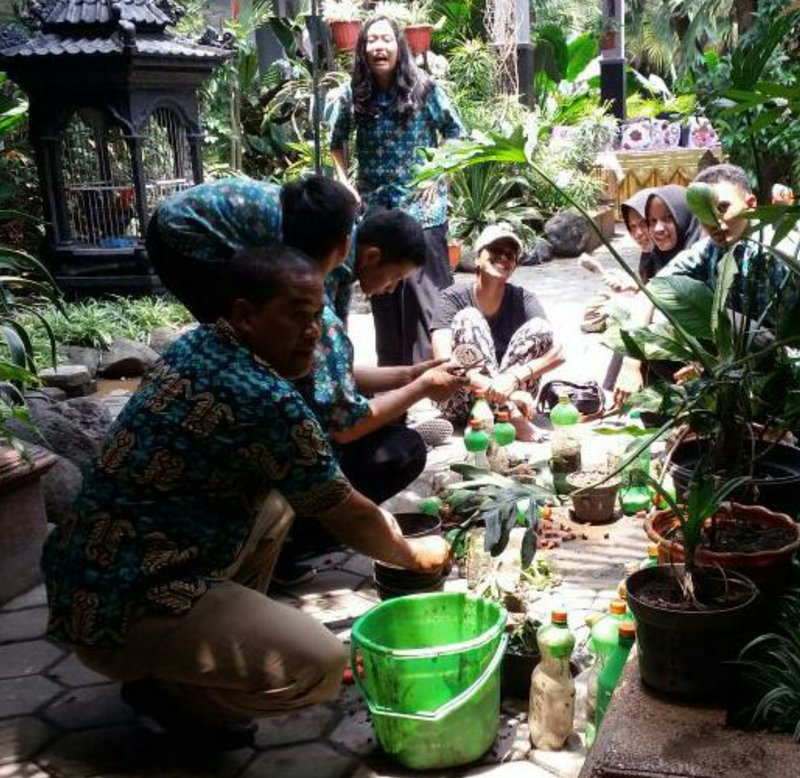 On a daily basis, SMK N 4 used “green” practices such as caring for plants on the school’s campus, restricting the sale of bottled water at school, and incorporating knowledge of environmental issues into class lessons. The day of the Adiwiyata judge’s visit was a day to showcase these practices and more. 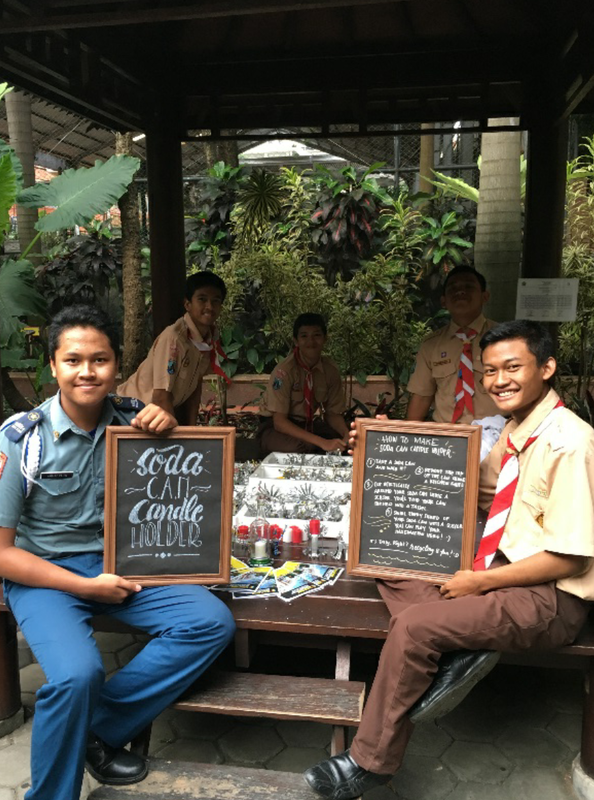 The students created a pasar [market] in the middle of the school’s campus displaying various goods made out of repurposed trash, including candle holders made of soda cans, placemats made of hair scrunchies, and teddy bears made of yarn scraps. ETA Shreya Kundur’s students also contributed to the pasar by putting together an informational display about the ways in which American schools “go green” including composting, using public school buses, and organizing clothing drives. ETA Shelby Lawson joins the dance classes with her counterpart Ibu Ani every week. The students share traditional dances with Shelby, like the Lulo. This community is a great way for Shelby to connect with her students outside of the classroom setting. She is eager to start sharing popular American dances, such as the Cha Cha Slide and the Cupid Shuffle, in the coming months. Not only does dance allow the students and Shelby to share culture, but also language. The lyrics to the songs offer great practice for the students to listen and follow instructions! They are dancing their hearts out at SMA N 7 Kendari! ETA JoAnn Doll and the English Club students at MAN Model Gorontalo have been working hard throughout October. They have almost finished filming their first two videos for the Bahasa Project. The girls taught vocabulary about colors in Bahasa Indonesia and English while modeling different types of clothes and jilbabs of every shade. The boys were excited to explain food-related vocabulary in Bahasa Gorontalo, Bahasa Indonesia, and English by introducing various traditional foods from Gorontalo, which were promptly devoured after filming. As the first complete month at school, October was the month ETA Katarina Krueger felt like she got to know her students. Teaching each class of students only once a week is very limited time with them, so she is doing her best to find ways to engage students outside of their weekly class meeting. This has happened through extracurricular activities like English Club and Running Club, and inviting classes over to her house. She is so glad she has a large house and can host these hang out times; the fact that she has the freedom to invite students to her house is so special. She had two of her tenth grade classes over in October; about 25 students showed up each time. The first time the power went out during one of these get-togethers; Katarina and her students hunkered down for a very autumnal afternoon inside. They played UNO and Banangrams by candlelight and ate chocolate chip pancakes while it rained outside. Both times she got a kick out of the students excitedly documenting their time at her house. Many selfies were taken. She overheard some students giving a tour of her house while taking a video, “this is Miss Kata’s kitchen, this is Miss Kata’s living room, I am in Miss Kata’s house!” She caught some of her girl students taking selfies while holding photos of her family and boyfriend. She dearly loves her students and is so happy for any extra time she gets to spend with them. Stay tuned for Part 2 of our October monthly highlights!